2.6 (B). 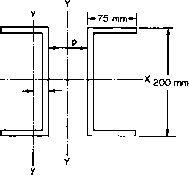 A stanchion is made from two 200 mm x 75 mm channels placed back to back, as shown in Fig. 2.19, with suitable diagonal bracing across the flanges. For each channel Ixx = 20 x 10-6m4, /vv = 1.5 x 10-6 m4, the cross-sectional area is 3.5 x 10~3 m2 and the centroid is 21 mm from the back of the web. 2.7 (B). In tests it was found that a tube 2 m long, 50 mm outside diameter and 2 mm thick when used as a pin-jointed strut failed at a load of 43 kN. 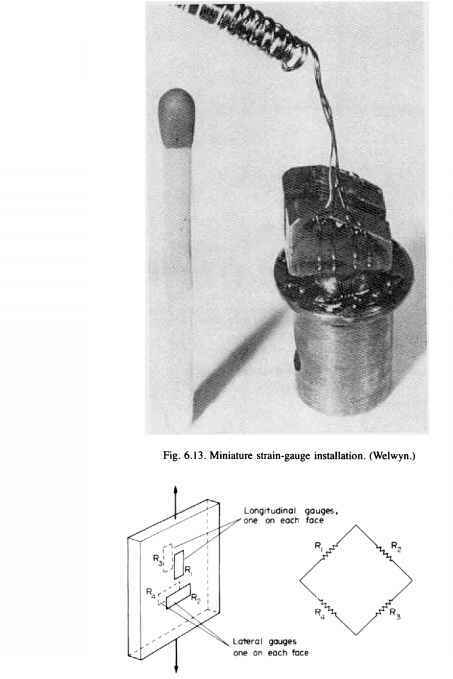 In a compression test on a short length of this tube failure occurred at a load of 115 kN. (a) Determine whether the value of the critical load obtained agrees with that given by the Euler theory. (b) Find from the test results the value of the constant a in the Rankine-Gordon formula. Assume E = 200 GN/m2. For the Euler formula use L/k values from 80 to 150, and for the Rankine formula L/k from 0 to 150, with <TV = 315 MN/m2 and a = 1/7500. From the graphs determine the values of the stresses given by the two formulae when L/k = 130 and the slenderness ratio required by both formulae for a crippling stress of 135 MN/m2. E = 210 GN/m2. 2.12 (B). A compound column is built up of two 300 mm x 125 mm R.S.J.s arranged as shown in Fig. 2.20. The joists are braced together; the effects of this bracing on the stiffness may, however, be neglected. Determine the safe height of the column if it is to carry an axial load of 1 MN. Properties of joists: A = 6 x I0~3 m2; kyy = 27 mm; kxx = 125 mm.